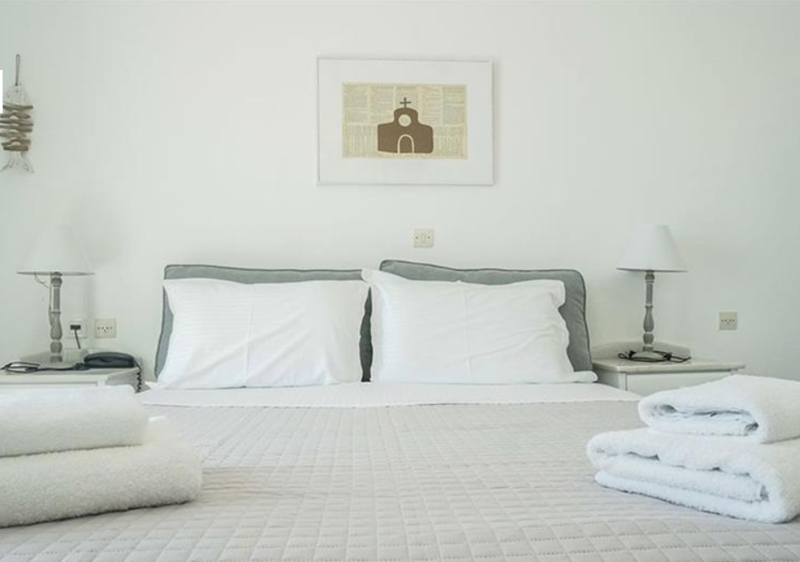 "Sunday Hotel" is a top destination in Antiparos and combines the elegance and comfort you desire. 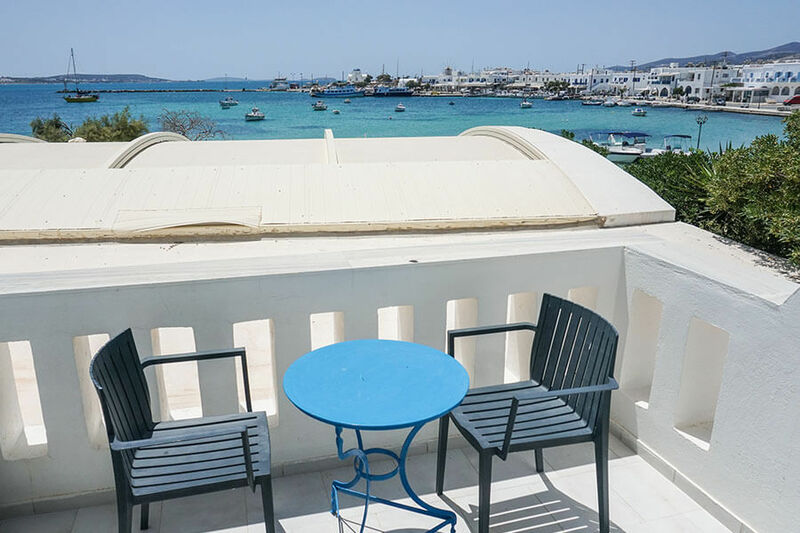 It is located in Chora of Antiparos with panoramic view of the port of the island. 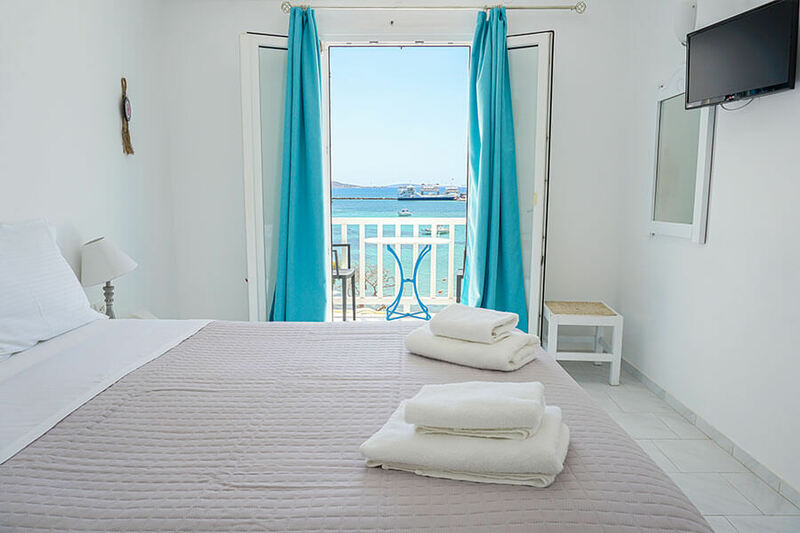 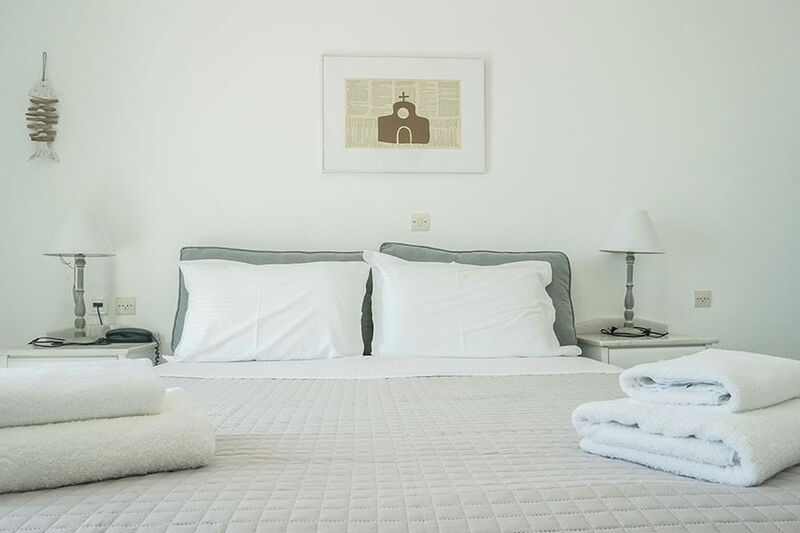 "Sunday Hotel" is fully renovated following the stylistic character of the Cyclades and consists of 12 rooms and apartments, all overlooking the Aegean Sea. 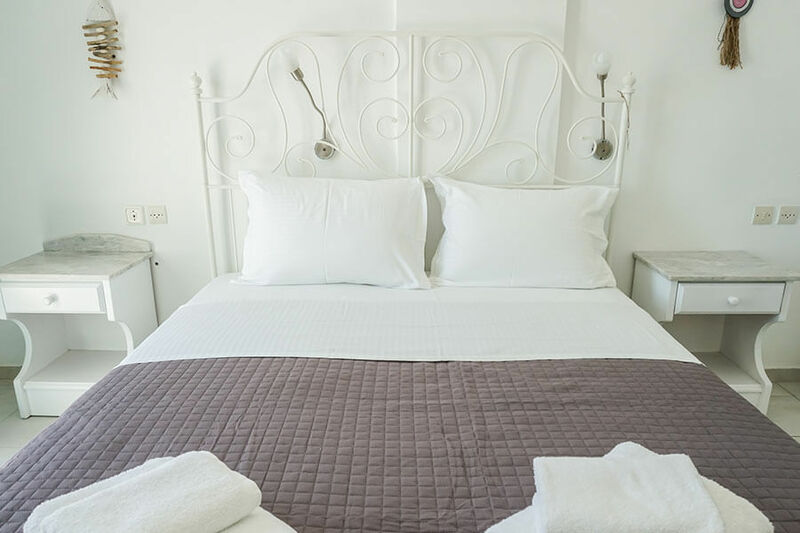 The hotel has double and triple rooms, as well as two-room quadruple and five-bed apartments. 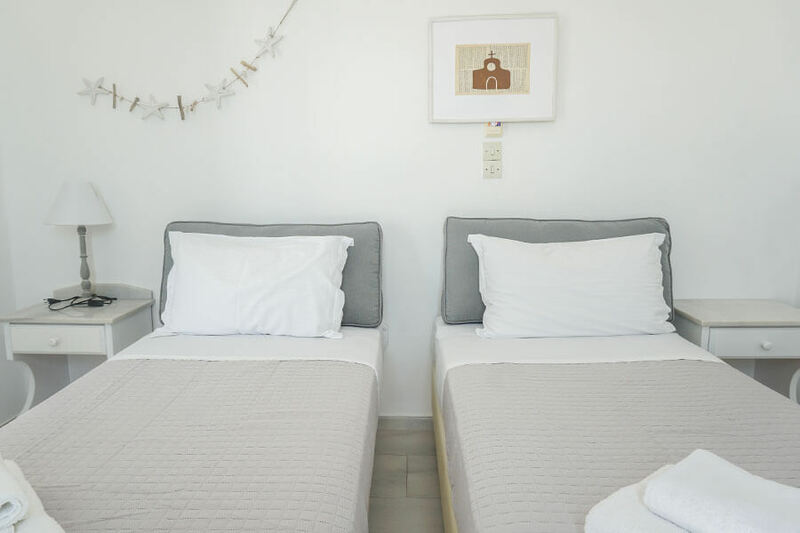 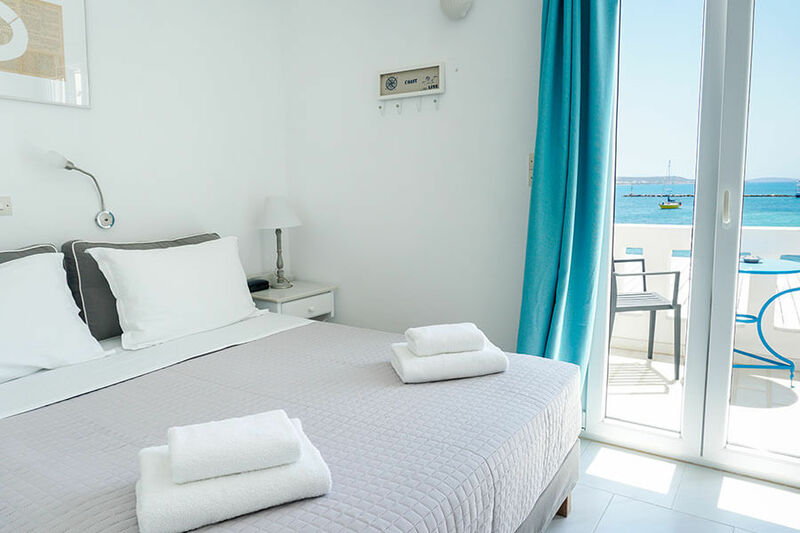 "Sunday Hotel's" rooms are designed and decorated in simple lines combining the white and the blue of the sea with all the modern comforts and balconies with panoramic views. 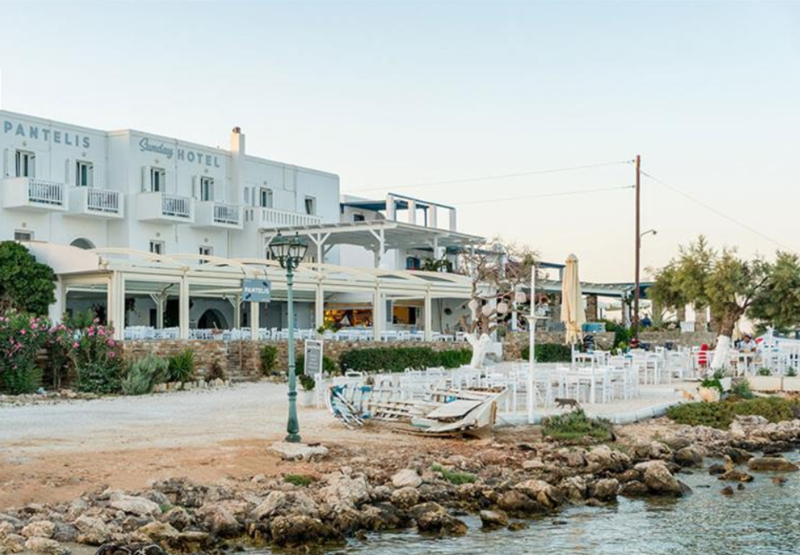 Our breakfast includes traditional local dishes combined with coffee and fresh juices. 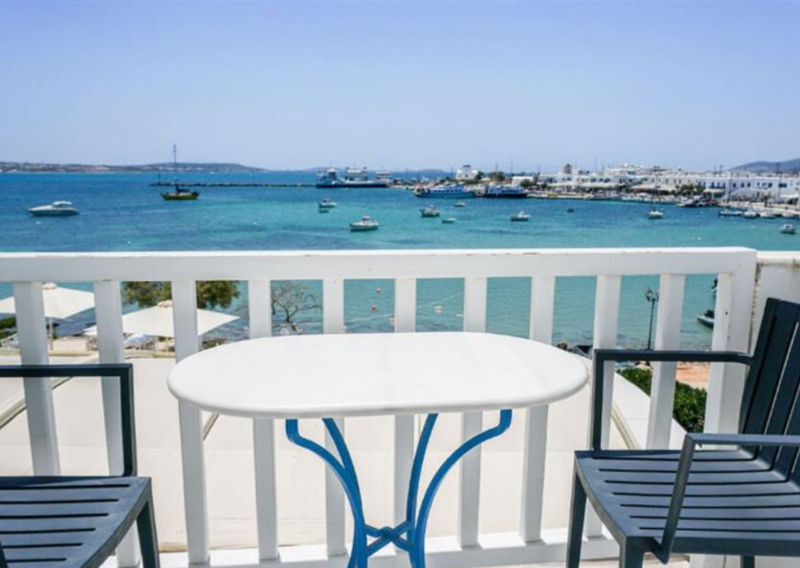 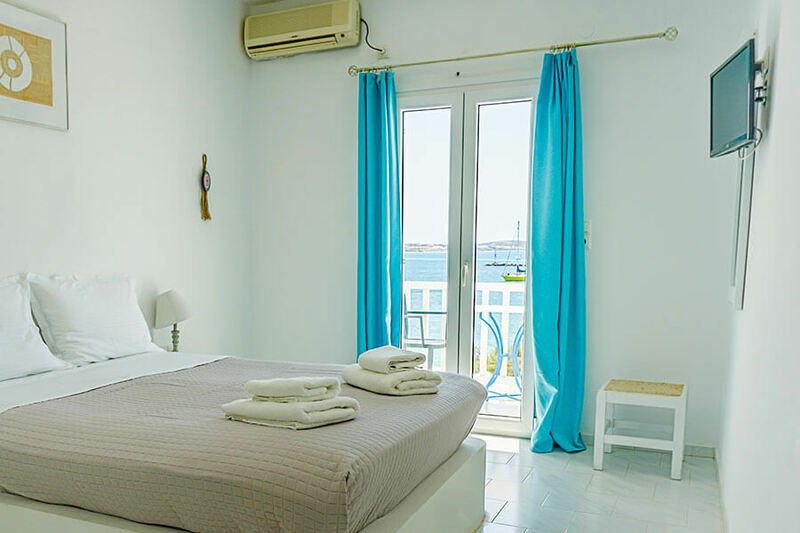 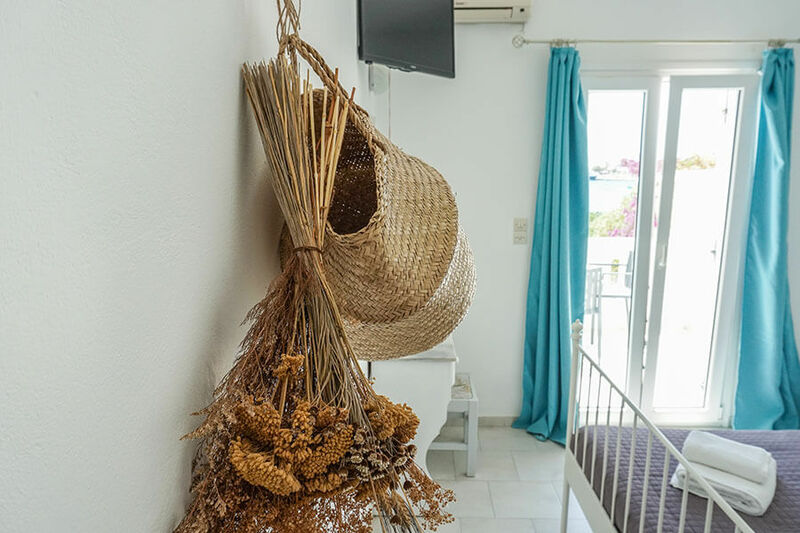 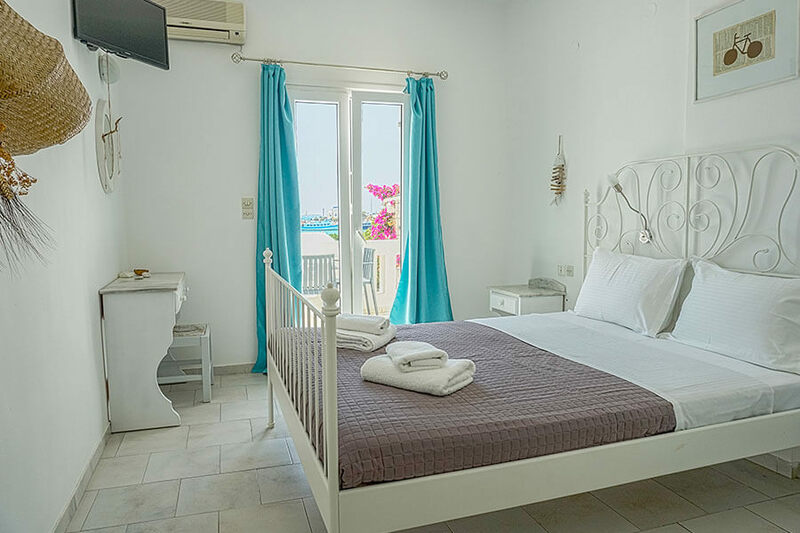 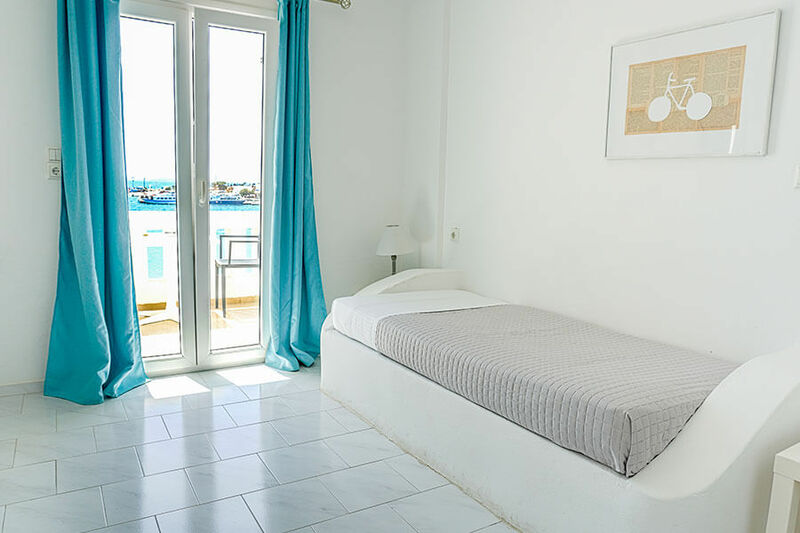 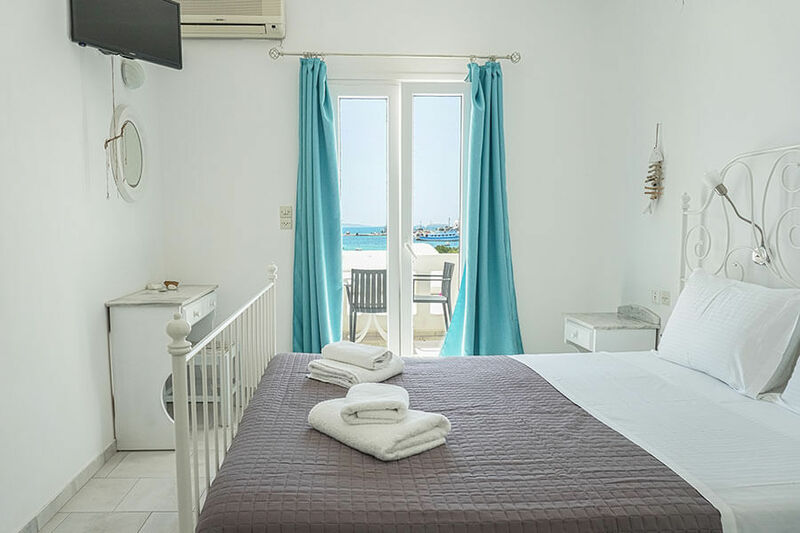 Sunday Hotel Antiparos maintains minimal lines to its well appointed rooms with their private verandas or balconies and panoramic view. 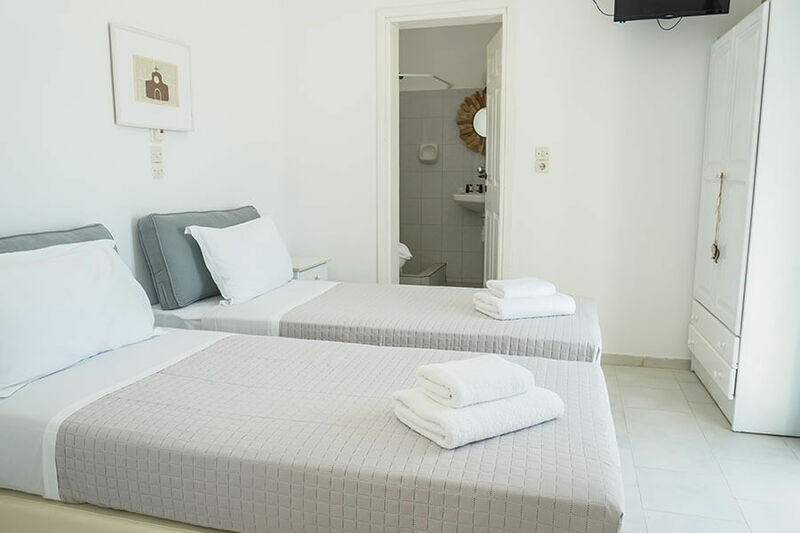 Room service is also available for our guests. 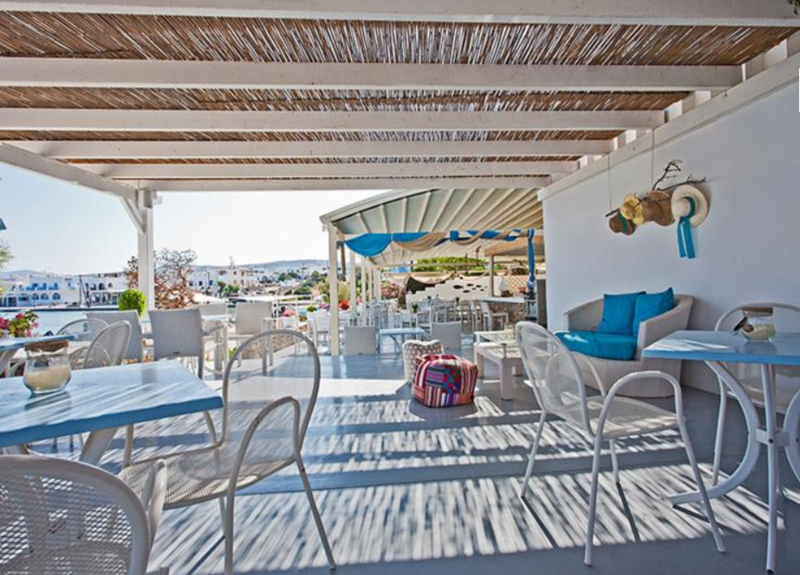 You can start your day with a tasteful breakfast, with mediterranenan flavors like fresh juice, homemade jam and pies. 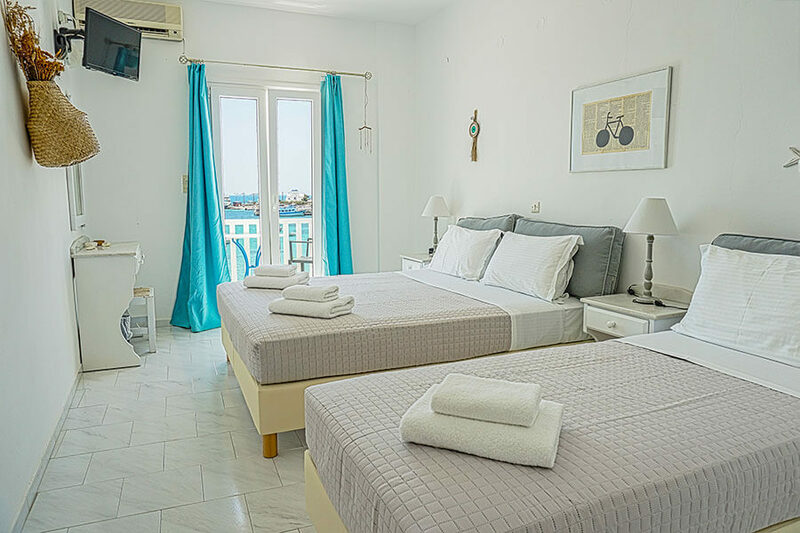 There are 2-bed and 3-bed rooms, as well as 4-bed and 5-bed apartments for your convenience. 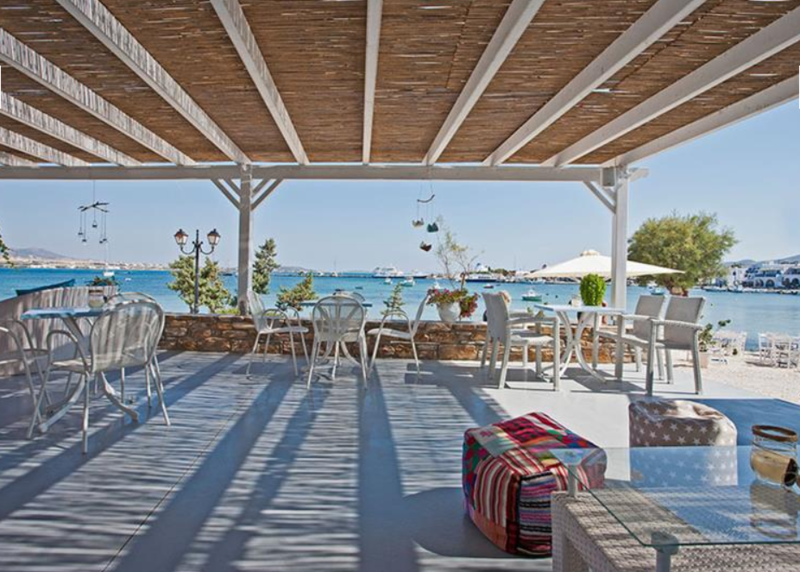 Duration of breakfast time over 3 hours. 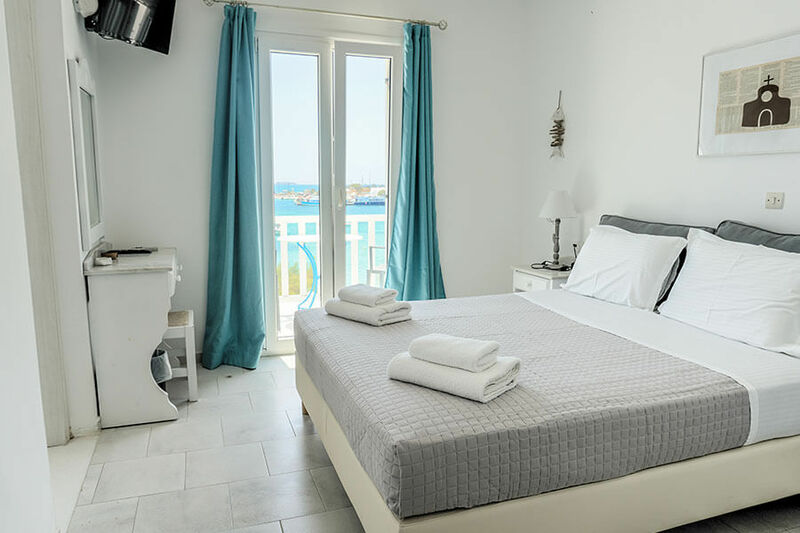 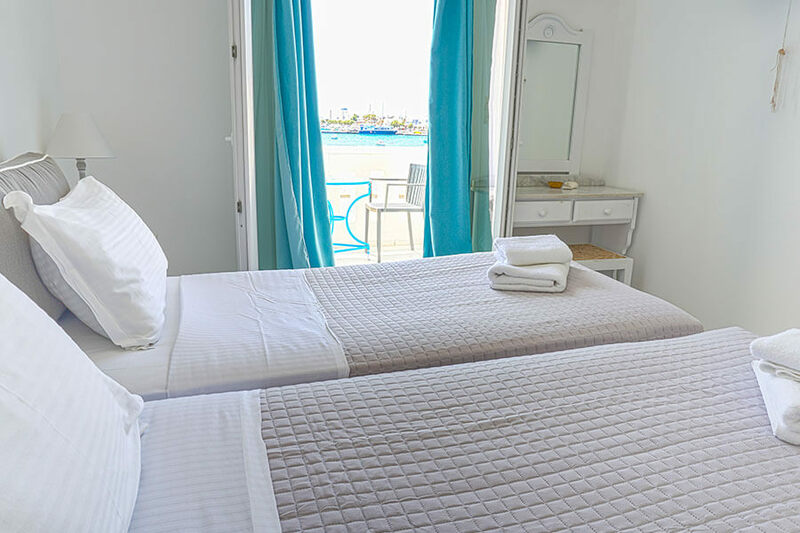 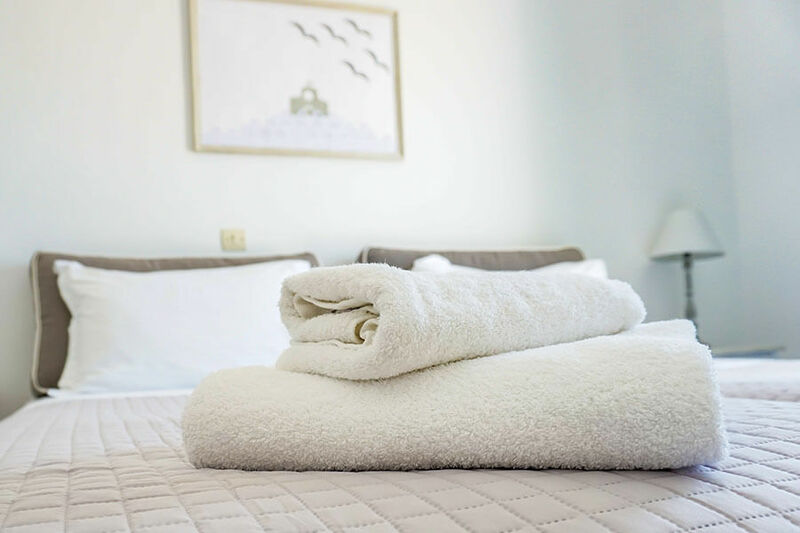 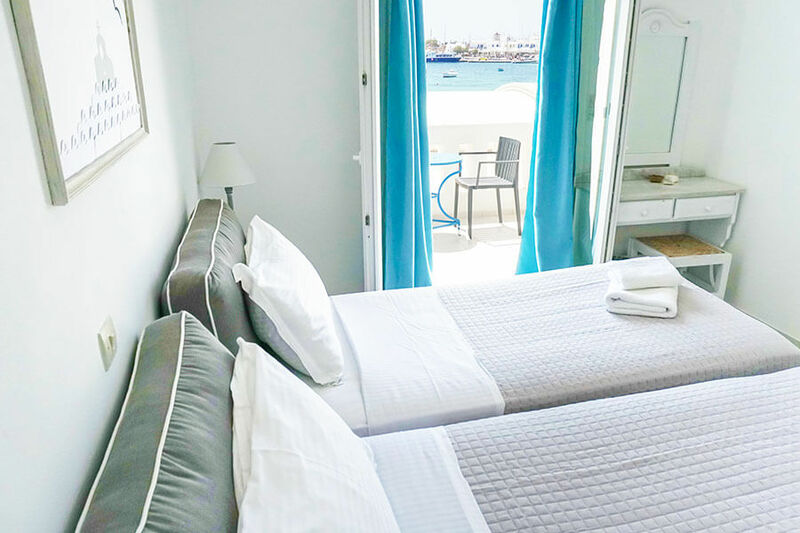 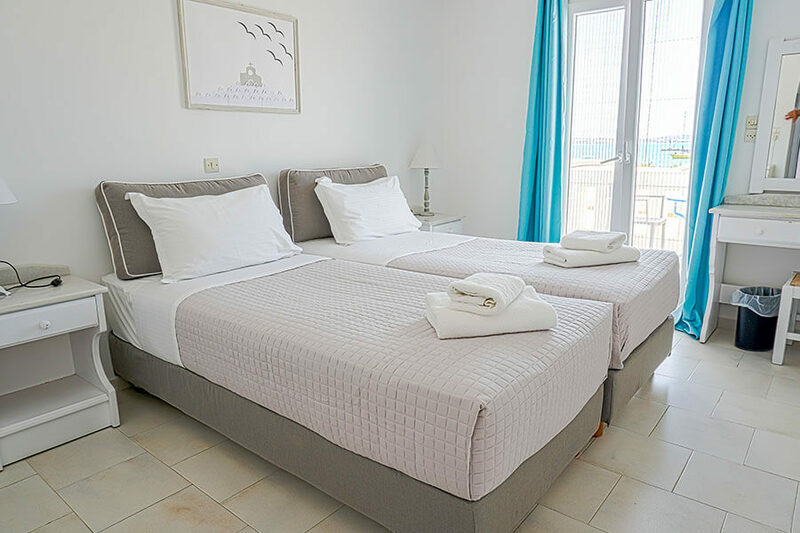 As one of the leading Antiparos beach hotels, Sunday Hotel combines the elegance and quality you would come to expect from a top hotel of this high caliber.